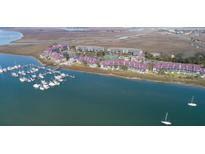 Below you can view all the condos for sale in the Mariners Cay subdivision located in Folly Beach South Carolina. Listings in Mariners Cay are updated daily from data we receive from the Charleston multiple listing service. To learn more about any of these condos or to receive custom notifications when a new property is listed for sale in Mariners Cay, give us a call at 843-306-2224. The marina does not allow live aboards but does allow weekend stays. MLS#19009779. Avocet Properties. The beach and town of Folly Beach is easily accessible by car, bicycle or on foot. MLS#19004416. Keller Williams Realty Charleston West Ashley. Mariners Cay is a lovely gated community offering great amenities including a pool, clubhouse, and tennis.. MLS#19004202. Carolina One Real Estate. The privacy and lack of traffic are perfect for everyone. MLS#19000669. Avocet Properties. A roof top deck option and full solar option and a ground level grilling porch with reversed floor plan allows you to take advantage of the amazing water views. MLS#18031607. Landcrafters Inc.
short walk to the ocean,shops ,restaurants and night life.the home comes completely furnished and equipped for immediate occupancy. MLS#18026739. Fred Holland Realty. Sign up now on the VIP list to get the info MLS#18024492. Landcrafters Inc.